Edgewater is becoming increasingly popular neighborhood for two things. Firstly, tourists and locals learned to appreciate its urban but still homey character and its serenity above all. Then, its central location to all major areas of East Miami makes it a fashionable spot. There, our Grand condominium has found its place. 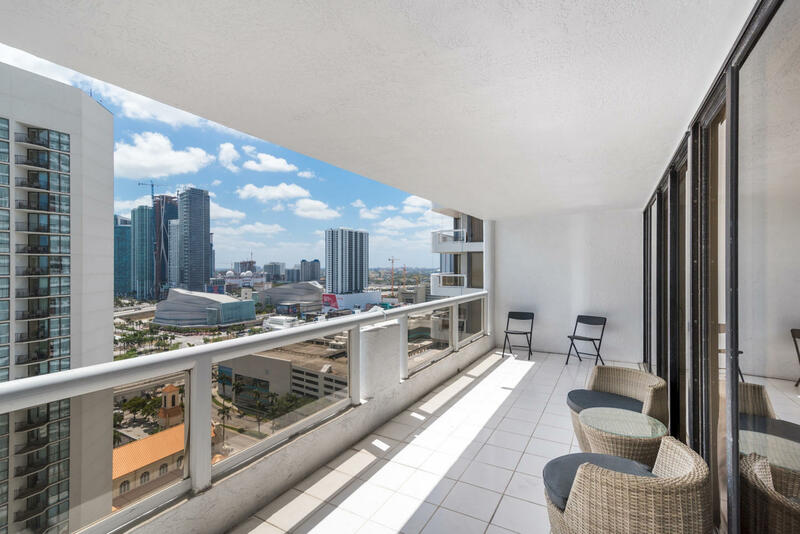 This upcoming area, within a walking distance from the Downtown Miami, Wynwood or the South Beach makes the Grand most wanted place to stay. You will be spellbound by this royal-looking apartment. Every single detail says class. The living room is highlighted by its elegant black and white furnishing. You can watch TV or contemplate the view from the stylish leather sofa. The area is really spacious which will provide extra comfort for you. It communicates with the lovely balcony from where you can grasp the fantastic view. The sitting area also shares the space with the dining room where 4 people can sit comfortably and enjoy the meal at the modern dining table. The state-of-the-art kitchen is just round the corner, you will enjoy its solid wood cabinetry, granite countertop and last word kitchen appliances. A fridge, a dishwasher, a stove, a microwave are on your disposal as well as other cookware, glassware and kitchen utensils you may need. The bedroom is bright, spacious and fashionably appointed. It provides two comfortable queen beds, two night stands and a drawers for your personal belongings and a TV for your pleasure. Its benefit is certainly the balcony and the Bay view. The bathroom is a perfection, in a word. It is really spacious and bright but those are not its best features. It provides luxury and comfort. 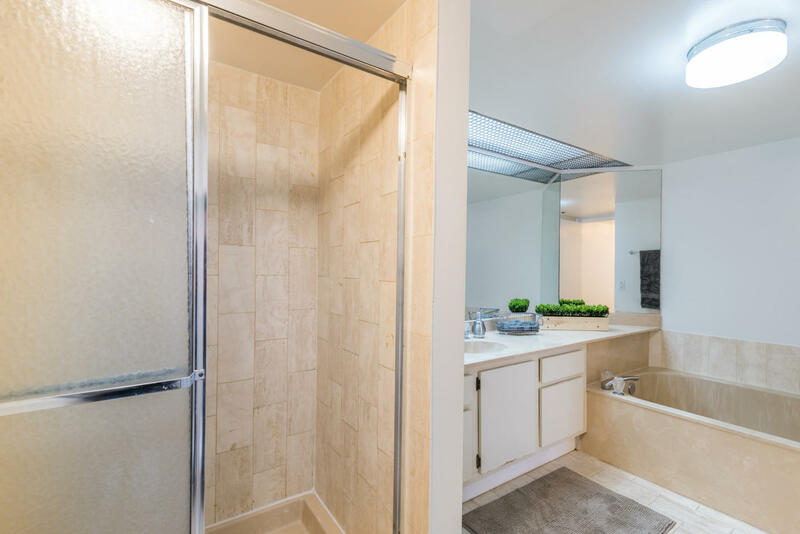 There is a huge bath tub, a shower, marble tops, enough ample space for your bathroom essentials and a magical wall-to-wall mirror. Amazing! 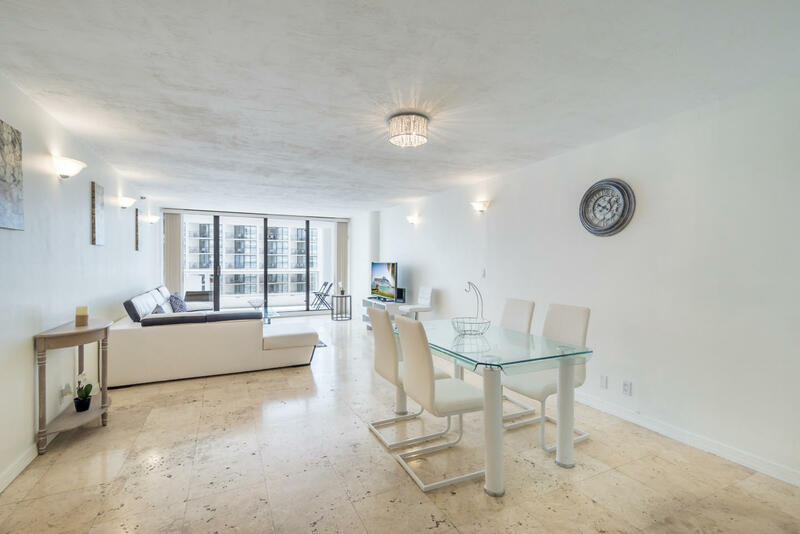 PLEASE READ You will have the entire apartment to yourself in addition to the on-site amenities like an outdoor pool, world-class fitness center overlooking Biscayne Bay, a spa and several restaurants. RESORT FEE of $16 per guest per stay will be collected Direct transfer. There is no free parking, it should be arranged AT THE TIME OF YOUR BOOKING AND BEFORE YOU CHECK IN. Parking fee of $60 per stay will be Direct transfer. Please note that the valet parking is available for the weekend and it is $30 a day if you do not get the transponder. • As for building management, you need to follow STRICT building occupancy rules. Two adults only allowed (15 years of age ) plus children 14 years and under. • Each guest needs to pay the resort fee of $16 during your stay. • Parking: If you arrive Monday-Friday, there is a single $60 transponder fee that enables you to park one vehicle in the garage during your stay. Please let us know at the time of your booking if you are planning to have a vehicle so that we may register your parking with our building management in advance. If you have more than one vehicle or will be arriving during the weekend, you must pay the valet parking, $30 a day. • Building management requires adult guests to wear or carry provided wristbands for easy building access. * Security deposit: USD 500.00-After completing the reservation you will be required to leave a credit card number.